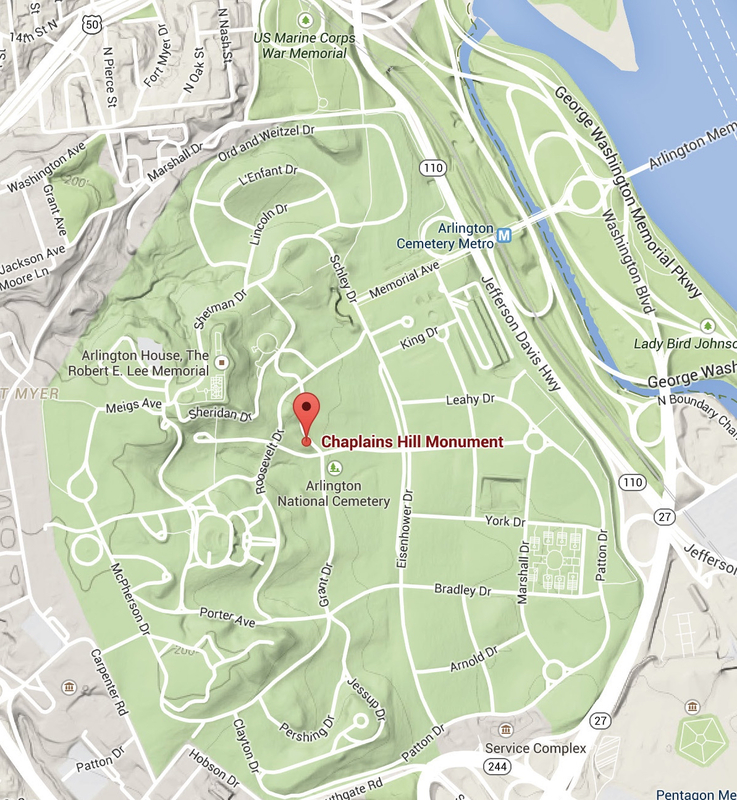 Chaplain’s Hill is a elevated area in Section 2 of Arlington National Military Cemetery in Arlington, Virginia. 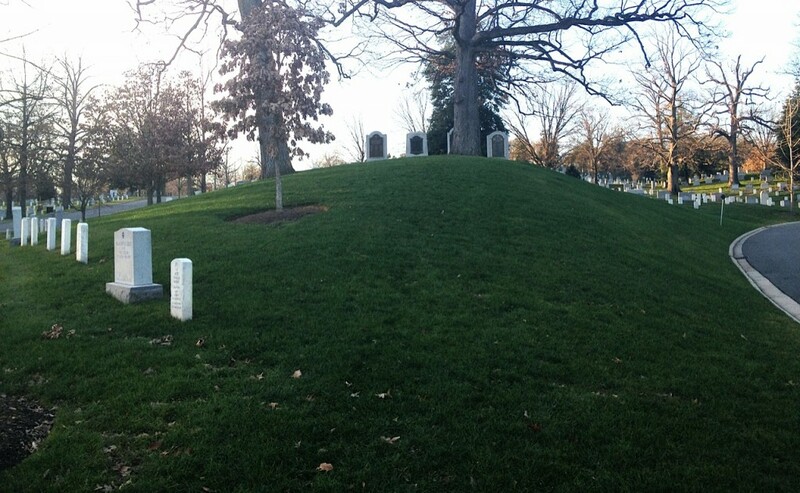 Section 2 is the final resting place for many distinguished U.S. Military Chaplains over many decades. On top of “Chaplain’s Hill” are four monuments to military chaplains who made the ultimate sacrifice in World I, World II, Korea, Vietnam and the Cold War. These four monuments, to those lost in World War I, to Protestant Chaplains, to Catholic Chaplains and to Jewish Chaplains were dedicated at different times over almost a century.